GRANGE will square up to Edinburgh University in the final of the men’s Scottish Hockey Cup on April 18. The holders came from 1-0 down at half-time against runaway Division Two pace-setters Grove Menzieshill following a goal from Scottish internationalist Gavin Byers after 24 minutes. But Michael Fenlon netted six minutes after the restart and two penalty corner strikes from experienced Robert Barr in the next ten minutes sealed the result. In the other semi-final, Gordon Amour slotted home for Edinburgh University following a penalty corner with nine minutes remaining to end Aberdeen’s challenge. 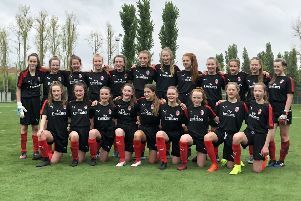 The students dominated the first half but Aberdeen mounted an assault in the early part of the second only for Edinburgh’s goalkeeper Jakim Berndsen to make several telling stops. In the women’s semi-final, Edinburgh University’s Grand Slam dream ended as Grove Menzieshill edged the newly-crowned Division One champions 3-2 in Glasgow. Clydesdale Western sealed their final spot with a 5-0 victory over Division Two pacesetters Erskine Stewart’s Melville.